Designing games are all about problem solving. You constantly make up problems that needs to be solved! I like to show some typically problems that needed to be solved during the design of World Dumbination. If you don’t know anything of the game please take a quick peak at the main web pages to get an overview of the game! I haven’t met very big problems on this game, and most issues have been solved in just an hour or two. But I have other games lying around that I needs quite the effort to solve a problem that has stopped the whole design process. All problems should be solvable, but it just takes a lot of time sometimes. 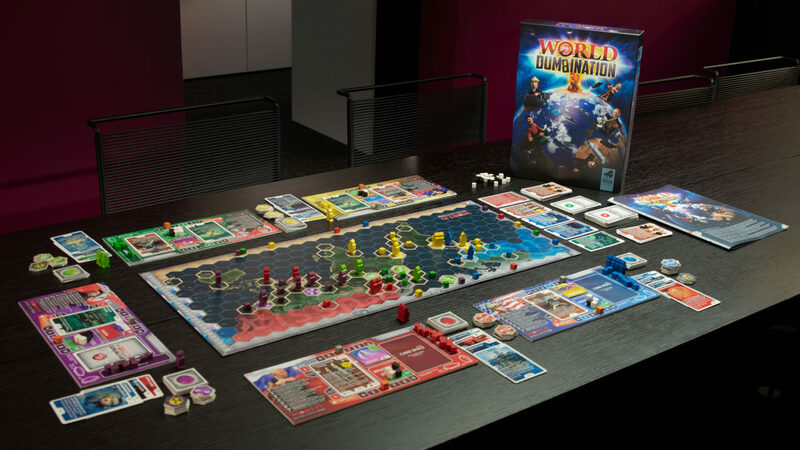 World Dumbination is a fun asymmetric strategy game for 2 – 5 players, launching on Kickstarter April 23rd! The main inspiration for the game was when some world leaders argued like small children sitting in a sandpit. And that is the idea behind how the leaders are illustrated. For decades our planet has been monitored by alien species. Worried by recent events, enormous alien spaceships are sent towards earth. Announcing they come to save us from our self-inflicted fate, people rush to get onboard the spaceships. But the aliens will only let the smart people on-board, leaving the less gifted behind. Most of the leaders get in, but some didn’t make the cut, for more or less obvious reasons. In world Dumbination you play as these five leaders left on earth; Trump, Maduro, Putin, Erdoğan and of course Kim Jong-un! Just now we are working with making prototypes to send out to reviews, a Kickstarter date will be set soon after the games are sent out. Get notified about the World Dumbination Kickstarter launch. One week until this gang enter Kickstarter! THE GAME I WOULD PLAY WITH MY FRIENDS! 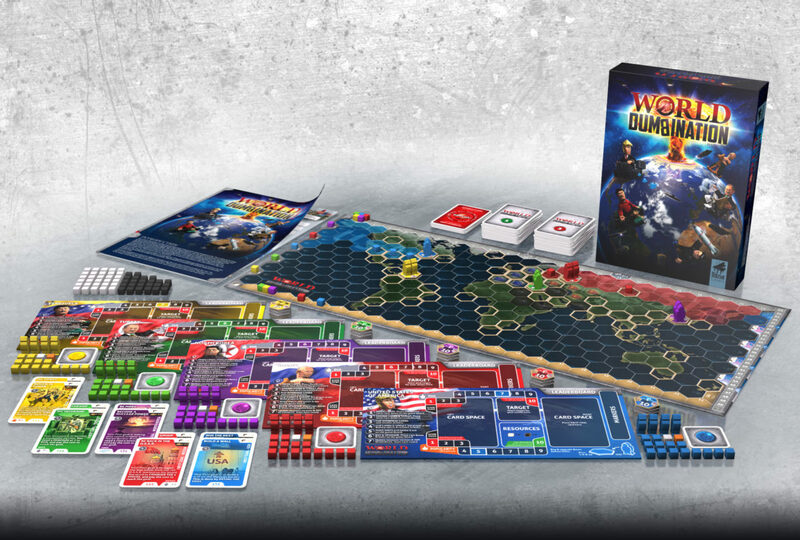 Muzak Games are a little board game company that focusing on developing cool and funny board games with a twist. Copyright © Muzak Games. 2019 • All rights reserved.